You may be on a tight budget – but that doesn’t mean you can’t enjoy your visit. There are still free attractions and tours that are available in Owatonna! 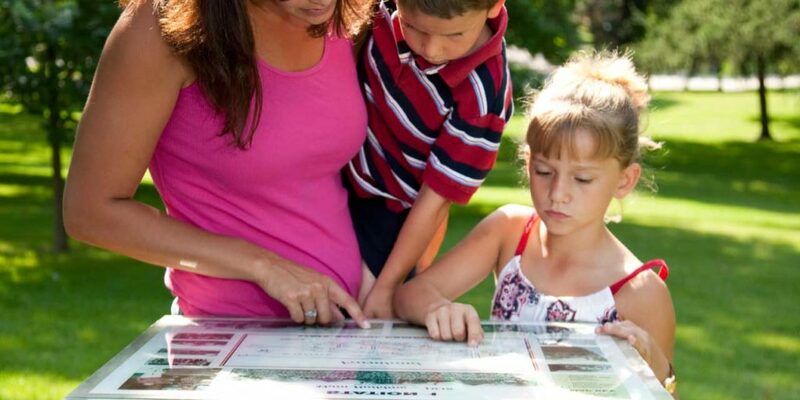 Tour the Minnesota State School Orphanage Museum and learn the story of Minnesota’s orphans. Between 1886-1945, over 10,000 orphans passed through this State School Orphanage, the only one in the country. Take a free guided tour, watch videos and hear stories as told by those who lived at the orphanage. Donations are appreciated. The Owatonna Arts Center offers displays that include works by local and regional artists as well as monthly rotating exhibits of regional artists and traveling shows. The center allows each visitor to expand their awareness of artistic appreciation and understanding. For hours visit their website. Donations are appreciated. Discover historic downtown and the National Farmer’s Bank. Built from 1906-1908, the National Farmers’ Bank is widely recognized as one of the premier pieces of “Prairie School Architecture” in America. The most famous of all Louis Sullivan’s banks, it is considered “a jewel box of the prairie,” featuring gold leaf arches, stained glass windows, and nouveau baroque art designs. It is on National Register of Historic Places and was commemorated on a United States postage stamp in 1981. Discover the bank on your own, no cost. Encounter a blend of architectural styles from the late 1800s to early 1900s during the Historic Walking Tour including historic homes, schools, churches and other buildings. Visit the sites of buildings that listed on the National Registry of Historic Places. The Historic Walking Tour Guide Brochure is available at the Owatonna Chamber. Cabela’s is the largest fishing, hunting and outdoor gear store in the Midwest. With nearly four million visitors a year, it is the second most popular tourist attraction in Minnesota. In 2011 the store underwent a $5.5 million remodel, which added an additional 10,000- square feet of retail space, a new archery range and tech shop and a new boat showroom. Cabela’s also offers an educational center that celebrates the outdoors and the men and women who enjoy it and a park-like restaurant that brings the great outdoors, indoors. Known for its “healing waters,” Mineral Springs Park is the birthplace of Owatonna and where the legendary Princess Owatonna watches over the water. Drink from the natural springs to hope to be healed. It’s a great location for an afternoon picnic and hike. Mineral Springs Park is just one of Owatonna’s 19 parks. * If you are visiting in August – attend the Steele County Free Fair, the largest free county fair in Minnesota! Held the third week in August, the SCFF has over 100 food vendors and activities for all ages. For one week the fairgrounds in Owatonna rivals as a large shopping center. Vendors from over 25 states and Canada bring their wide range of goods to Owatonna. At the SCFF thrill seekers can enjoy the 30 plus rides or one of the many attractions in adventure alley. Music lovers of all ages can visit the free entertainment stages as they enjoy a variety of music throughout the week.